Damsons in stock and one to order! 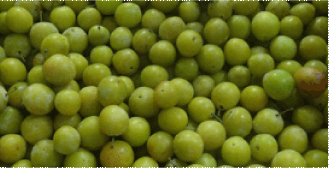 UK grown Beautiful red skinned Victoria plums are in stock, to accompany we also have Mirabelle’s in stock from France, did you know these lovely little yellow plums are banned in the US! Muscat grapes are the pick of the bunch, they are packed full of sweet juicy goodness. The first of the English Apples are available, our yummy Discovery Apples have a lovely sweet and sharp taste. 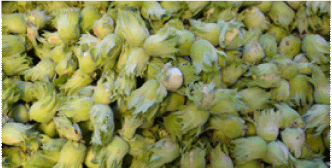 English Somerset Cobnuts have arrived, these fresh little nuts are great as they are or roasting to enhance their flavour. Our Baby Veg is one to highlight this week! 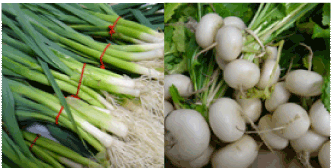 We have in stock, Baby Leeks, Baby Carrots, Baby Turnips and all the coloured Baby Beets! Heirloom Tomatos are absolutely scrummy, their superb colour range with different tastes and textures are just simply great! Fresh Corn is of a very good quality and brilliant for either boiling or grilling with a large knob of butter, mmm delicious! Superb Bunched Carrots are looking fab. 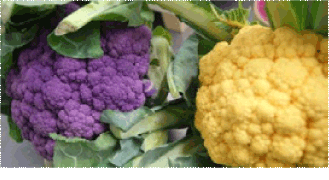 New season Coloured Carrots are available in Purple, White and Yellow, along with our Coloured Carrots we have our range of Coloured Cauli, Purple & Orange. 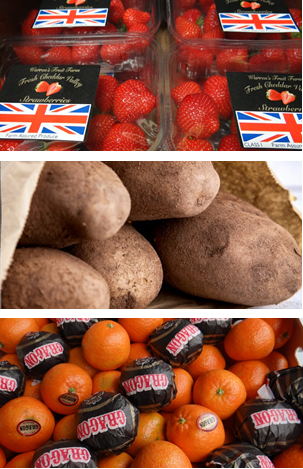 Cornish New Potatoes are of a very good quality, they are easily scrapable and a great summer potato. New season Purple Sprouting is back, its vibrant and distinct colour will add a crunch vegetable dish. Pickling Season is fast approaching and the first of the Pickling Onions have arrived! 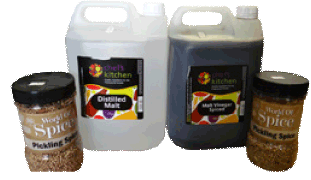 Don’t forget we sell all the goods; Pickling Onions (1990), Spices (8433) and even the Vinegar (Malt Spiced 2678) and (Distilled Malt 8034) to go with it, so let’s get pickling! We have now moved fully over to new season Maris Piper Chipping Potatoes until the season matures we recommend by little and often. Due to recent weather conditions Fresh Peas are due to finish sooner than expected, please do bear this in mind when ordering and putting on your menu. The weather has also affected the U.K. Berry season, we will move onto European Berries. 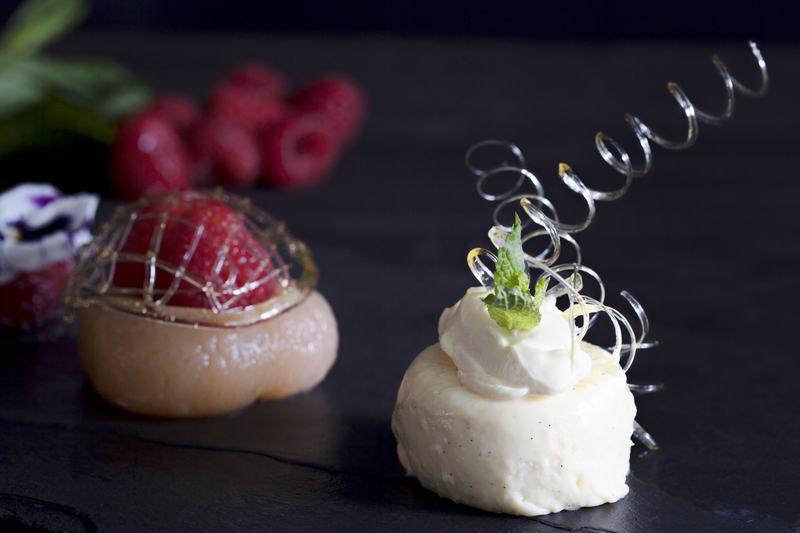 Don’t worry Cheddar Strawberries are still currently available! Our local Lettuce supplier has had recent issue with unpredictable weather conditions, the lettuces (Little Gem and Lollos) are not growing enough to be able to be trimmed. We are having to source from Europe to ensure supply. Satsuma have now finished and we have moved back onto Clementine’s. UK Cherries have now finished for the season and we will move onto US Airfreight, due to being airfreighted it will result in a price increase. Please try and order the bulk of your orders as early as possible so we can ensure we have the stock here for you. 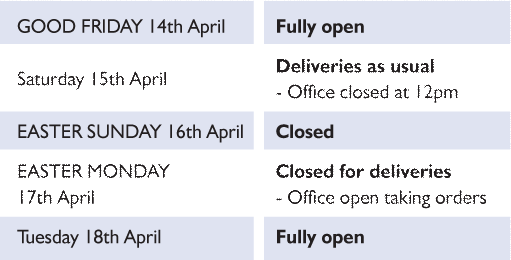 We would also ask if you can order any dry goods in advance before the bank holiday to ensure deliveries run smoothly on Friday and Saturday. We will see another increase in the cost of dairy as of the 1st of September. If you require these over fresh please ensure you quote the codes when ordering. Poached & Roasted Flat White Peach with Rosemary & a set Clotted Cream Custard! Check out our shorething for the full recipe. Then let us know how you do!